How to watch Victor Frankenstein (2015) on Netflix Netherlands! Sorry, Victor Frankenstein is not available on Dutch Netflix, but you can unlock it right now in the Netherlands and start watching! With a few simple steps you can change your Netflix region to a country like Germany and start watching German Netflix, which includes Victor Frankenstein. We'll keep checking Netflix Netherlands for Victor Frankenstein, and this page will be updated with any changes. 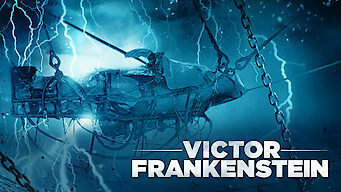 Victor Frankenstein is not available in Netherlands BUT it can be unlocked and viewed! After scientist Victor Frankenstein rescues him from a circus, hunchback Igor aids his brilliant but erratic new friend in his quest to create life. Everyone thinks they know the story of Frankenstein. Prepare to see it through the eyes of one who was there. There is a way to watch Victor Frankenstein in the Netherlands, even though it isn't currently available on Netflix locally. What you need is a system that lets you change your Netflix country. With a few simple steps you can be watching Victor Frankenstein and thousands of other titles!